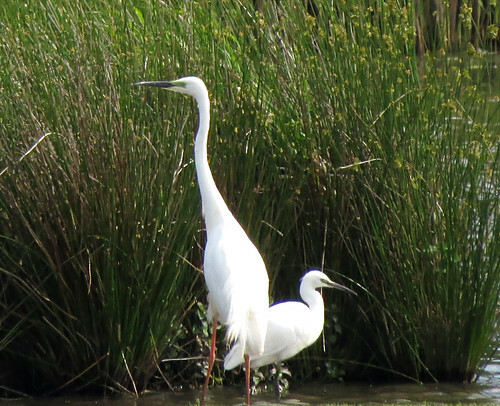 May at Tophill Low NR, East Yorkshire ended with the first Great White Egret Ardea alba of the year appearing on South Marsh East, before lingering into early June, though often elusive at times. 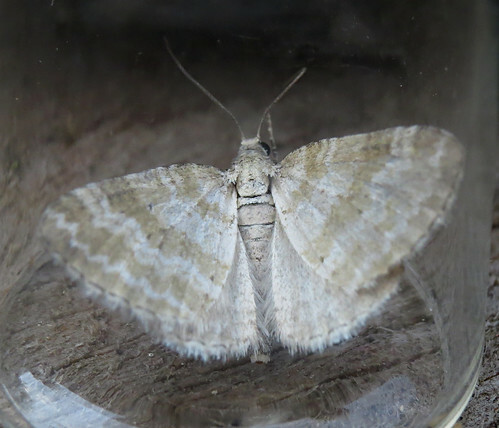 Other birding highlights included several first summer Little Gull Hydrocoloeus minutus almost daily until June 12th at least, and two adult Mediterranean Gull Ichthyaetus melanocephalus which flew over on June 11th. 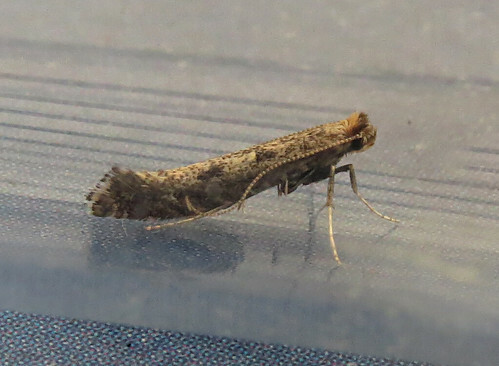 The Yorkshire scarcity Dichrorampha aeratana appeared on the wing from May 20th, and Coleophora albicosta was a new species for the site on the 23rd. 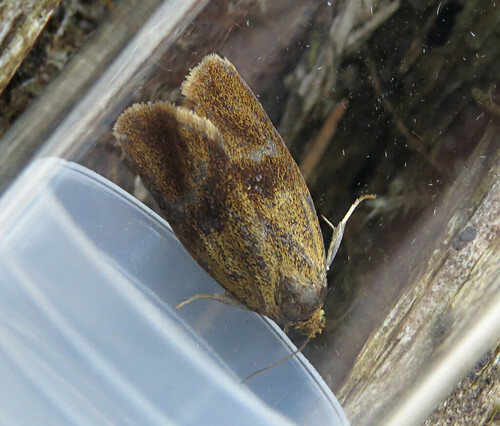 Back on April 8th, a moth taken in the field was considered to be Dingy Spruce Bell Epinotia pygmaeana. 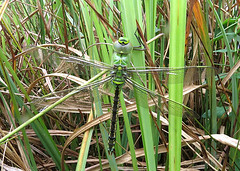 Following genitalia dissection, this was confirmed and it becomes the second site record having previously been documented in 2012. 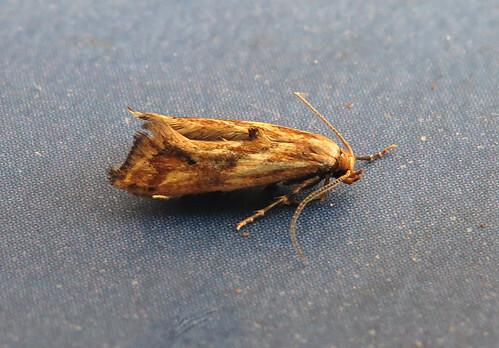 Considered to be a Nationally Scarce B species, it remains rare in the county since first being discovered in 1929 (per Yorkshire Moths). 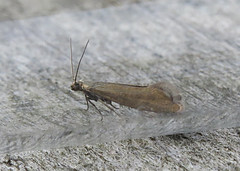 Parornix anglicella and Aspilapteryx tringipennella were trapped on May 29th – the latter being the second of the year, and third in Tophill history. 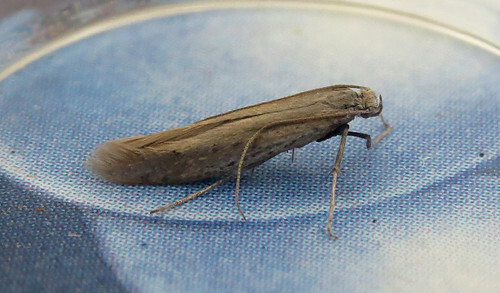 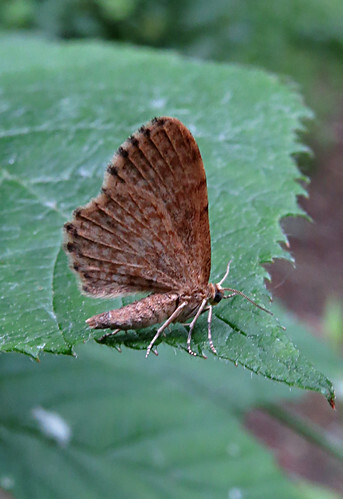 An Epermenia falciformis was trapped overnight on June 1st – the second site record following one in 2013 – the species being scarce across the county as a whole. 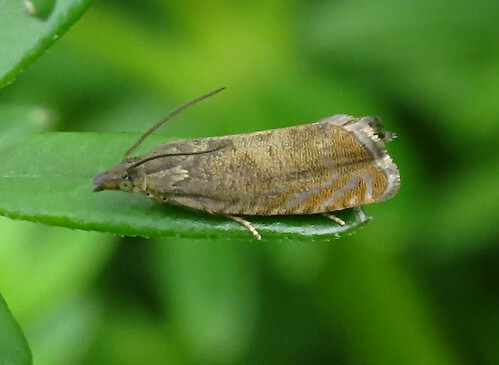 Ptycholoma lecheana was a new species to be recorded on site, with this one below trapped on June 2nd, and the 3rd provided another new species in the form of Grass Rivulet Perizoma albulata while a Small Yellow Underwing Panemeria tenebrata was the third or fourth recorded since first seen at Tophill in 1993. 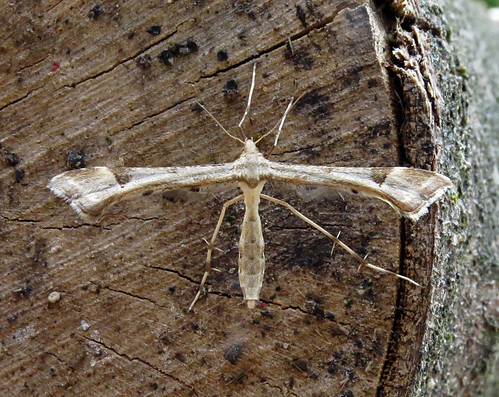 Platyptilia gonodactyla is irregularly recorded in small number on site – the first of 2017 was noted on the 3rd before the reserve’s fifth Dingy Shell Euchoeca nebulata was found in the field on the 10th. 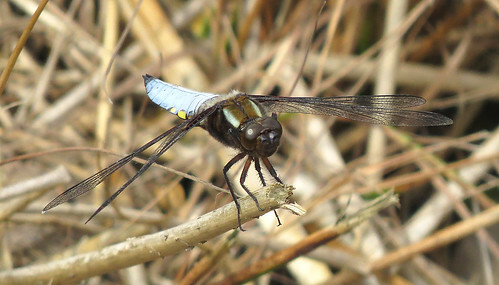 Broad-bodied Chaser Libellula depressa have been present in small number since early June, alongside the more numerous Four-spotted Chaser L. quadrimaculata, and often seen interacting with Hairy Dragonfly Brachytron pratense at water bodies. 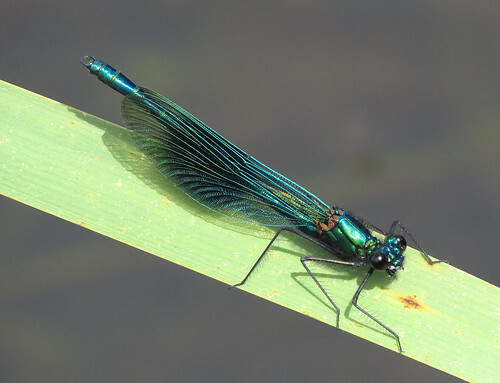 The third sighting of Banded Demoiselle Calopteryx splendens involved this male at the south end on the 3rd – with three documented records in 2017, this is one of Tophill’s best years for this stunning species. 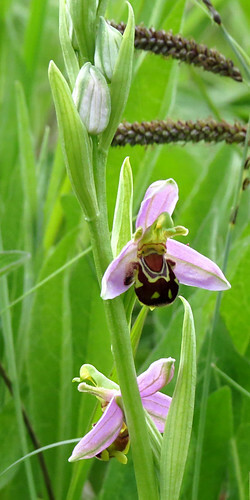 Walking around O reservoir, the orchid display is looking fantastic this month, and features numerous Bee Orchid Ophrys apifera alongside the path – incredible to think some years back the total number of spikes of the species numbered single figures. 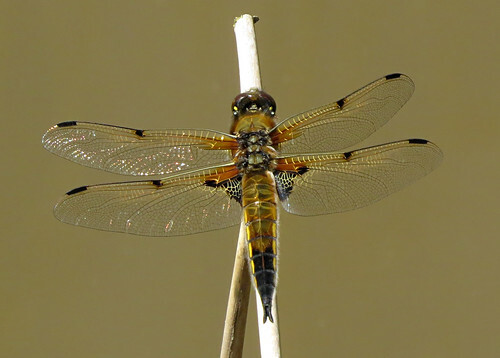 For the latest news, check out the Tophill blog and twitter feed and the events page, which details the plans (to date) for Yorkshire Water’s ‘Water works for Wildlife Weekend‘ open days on the 17th and 18th June from 10am-4pm.